Famed as an elegant, uniquely designed, classical garden, the Humble Administrator’s Garden was originally built in 1509 as a private garden by a former civil servant called Wang Xianchen, who like many planned to while away the days of his retirement in the garden like he thought a humble man should - the result isn‘t humble by anyone‘s standards. 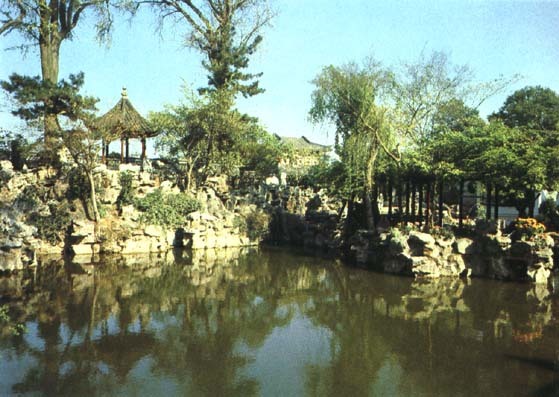 As well as Wang’s original plans of vegetables, fruit trees and flowers, the garden has a large water feature, pavilions, halls and gazebos, a hill and several small forests of pines and bamboo. People lived within the gardens walls, but these residences are now used to house the garden’s museum. 48 buildings, 21 ancient trees, 700 bonsai and many statues are also part of the scenery. The most elaborate section of the garden is the central area around the water feature which is lined with trees and elegant walkways and open airs parlours and pavilions.